What future for Social Democracy? Home Editorials What future for Social Democracy? On 9 September 2013, a red-green alliance led by the social democratic Labour Party lost the Norwegian general elections. Only two weeks later, the German Social Democrats (SPD) only came a poor second with just over 25 per cent of the votes in their country’s general elections. Even if it ends up as thefor junior partner in a grand coalition, the clear winner was the centre-right Christian Democratic Party of Chancellor Angela Merkel, which missed only narrowly an absolute majority in parliament. In this post, I will assess the general situation of social democratic parties in industrialised countries and speculate about their potential future role. 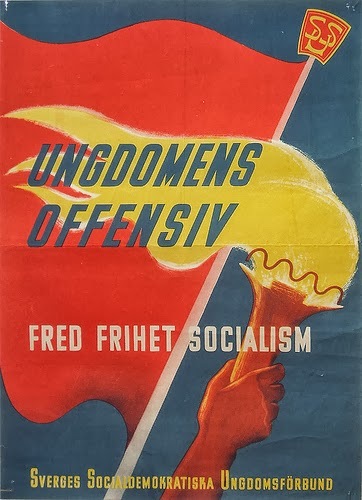 AsbjÃ¸rn Wahl and Roy Pedersen, two close observers of, and participants in, Norwegian struggles analysed the reasons behind the defeat in Norway. 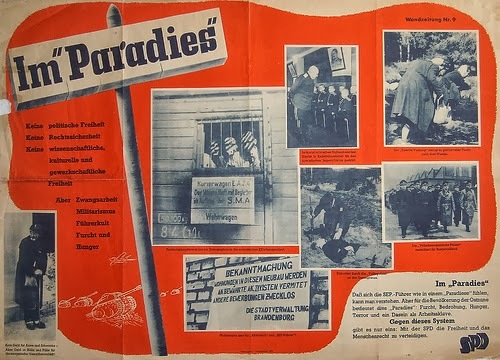 ‘In a situation in which oil revenue is pouring into the public coffers, the economic crisis goes virtually unnoticed, the unemployment rate is at a record low, real wages have been steadily increasing for a long time and most of the welfare state is still intact’, how was it possible, they ask, that the ruling coalition government lost the elections (The Bullet, Socialist Project – E-Bulletin No. 883, September 22, 2013)? They identify several reasons for why previous voters had turned away from the Norwegian Labour Party and its allies: the spread of New Public Management methods and a related culture of distrust, the intensification and brutalisation of working conditions, a disciplinary rather than helpful workfare policy, the lack of any new progressive policy reform as part of the Labour Party’s election manifesto as well as Norway’s participation in imperialist wars in Libya and Afghanistan. They identify ‘a pretty clear pattern of a government which has step by step moved away from its progressive platform and slid gradually toward more and more mainstream and soft neoliberal positions. This is the reason why it lost the election’ (The Bullet, Socialist Project – E-Bulletin No. 883, September 22, 2013). This clearly explains the Norwegian situation to a considerable extent. And yet, I am wondering whether the more fundamental reason is not that the social democratic project in general has run out of steam. At the beginning of the 20th century, the European left broke apart into social democrats, who emphasised the importance of reforming capitalism, and communists, who argued in favour of a revolutionary overthrow of capitalism. Thus, from the beginning social democracy was always the moderate version of working class policy. And yet, even the focus on reform, nonetheless, included at least initially the aspiration to go beyond capitalism towards socialism. The welfare state, now generally considered to be the main working class/social democratic achievement, had never been more than a compromise with capital (see Forget the welfare state?). In exchange for social policies, full employment and real wage increases social democrats had to accept capital’s control over the means of production. Instead of acknowledging, however, that the welfare state had been a compromise, in the course of the 1960s and 1970s social democratic parties adopted it as their main achievement and further improvements were implemented in a technocratic way. The former ambitions to overcome capitalism were forgotten and the parties became increasingly vulnerable to soft neo-liberal policies during the 1980s and 1990s, which were presented as offering better welfare results. Only in Sweden, against the background of increasing industrial unrest in the late 1960s, early 1970s was the attempt made to challenge capitalism more fundamentally. 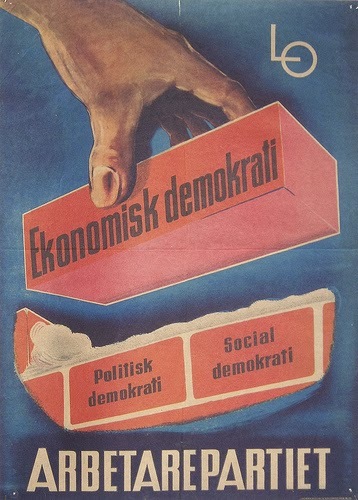 The Swedish Social Democratic Party (SAP) together with the main trade union LO embarked on a radical reform course in the 1970s. Industrial policy by the state was strengthened, industrial democracy in companies through co-determination introduced and, most importantly, the so-called wage-earner fund proposal put forward, which over time would have given trade unions majority control over big corporations. It was this moment, when capital’s prerogative over the control of production was threatened, that employers mobilised widely. First the social democrats lost the elections in 1976, and then upon their return to power in 1982 they only introduced a watered-down version of the initial proposal. The private ownership of the means of production was no longer questioned, the SAP itself no longer convinced about the wage earner funds initiative. AsbjÃ¸rn Wahl and Roy Pedersen are right, further social policy initiatives including new taxes on the rich or a social housing policy would have been possible. If put forward and mobilised around, the Norwegian Labour Party may have achieved a better result. It may even have been able to prevent electoral defeat, although the defeat was pretty decisive. Nevertheless, this would have only improved an already very good welfare state in Norway. It would have been a quantitative improvement. As I see it, however, this in itself is unlikely to transform social democracy into a fighting force with an alternative vision for the future. It would have been more of the same, but nothing qualitatively new. Perhaps, what is needed is a return to former ambitions of overcoming capitalism itself and move beyond the private ownership of the means of production? Unless social democracy can move beyond being the technocratic administrator of the ever more reduced welfare state, it is unlikely to be a significant force in the future.